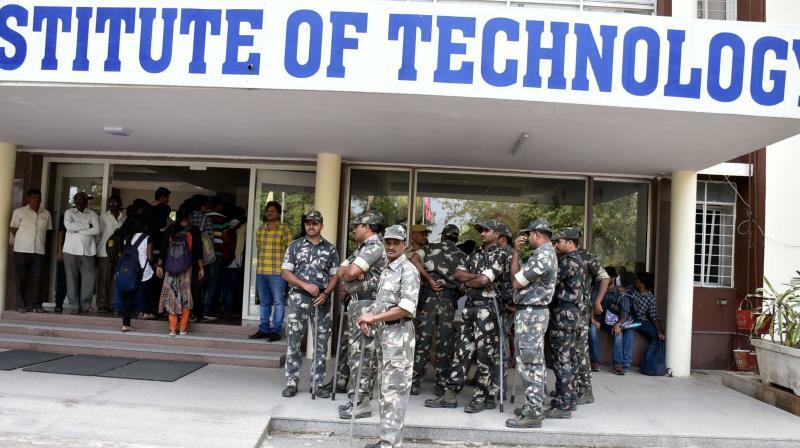 Hyderabad: The Income-Tax department on Friday raided the Chaitanya Bharati Institute of Technology (CBIT) Society, suspecting tax evasion. The raid was conducted by the anti-evasion wing following specific inputs. The team inspected the financial statements of the college. No unaccounted cash was seized till late on Friday evening. Sources in the Central Board of Direct Taxes confirmed the raid to this newspaper, “The staff inspected the invoices and questioned the society on financial transactions,” an officer said. The college was in news recently for hiking the fee from `1.2 lakh to `2 lakh, leading to protests from the students. The CBIT Society is headed by Dr V. Malakonda Reddy and it is one of the premier engineering colleges in the self-financing category in the state. Elsewhere, teams from the tax deduction at source (TDS) wing conducted a survey at the Saberi Optical Private Limited at Noor Khan Bazaar. The TDS survey is conducted when the I-T department learns that a company has deduct income tax from its employees but has not deposited it with the government. Saberi Opticals has three directors and no reported key management personnel. The longest-serving directors on board are Afifa Yasmeen and Mohd Saberi Hussain Syed Shah, while Fakhruddin Khaja was recently appointed managing director.